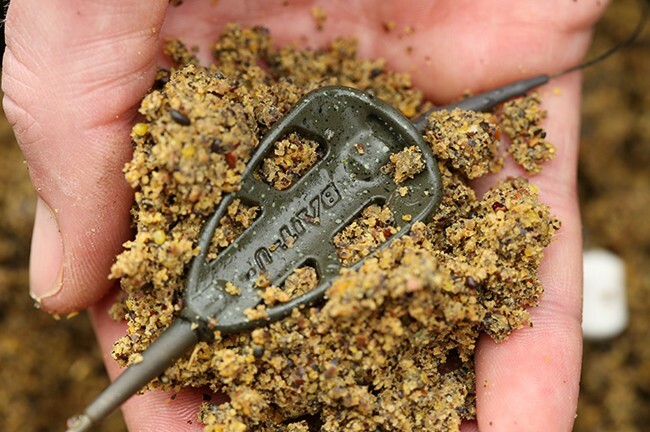 Whilst Fox’s excellent Rapide system has propelled solid PVA bags back into fashion – along the way, earning a place in many a carp angler’s armoury – method feeder fishing remains largely overlooked by a majority of big carp hunters. Which is strange, when you come to think about it. After all, both techniques are great for coping with underwater debris – protecting your rig and hook from snag-ups on weed, lily stems, rushes and the like. Both enable the use of supple, braided hooklinks – all but eliminating tangles. And both can be cast pretty well anywhere with confidence – secure in the knowledge you’re fishing effectively at all times: your hookbait nestling atop the chod, amidst your freebies, and surrounded by a halo of attraction. But it’s as a winter tactic that ‘the method’, for me, has the edge; especially during day-only sessions. 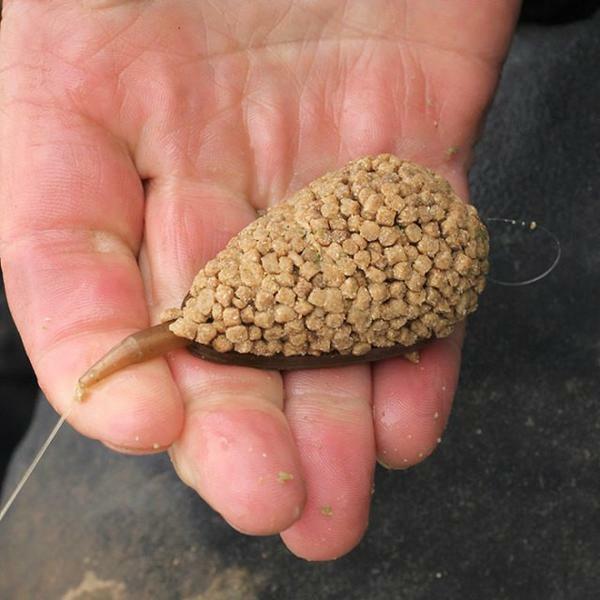 Whilst bag-fishing requires you to dry your hands and rig, load your bag, miscast, curse… and start again – rinse and repeat – the feeder allows you to recast quickly, whatever the weather: you simply mould your feed around your feeder, bury your hookbait in your groundbait ball, and let fly. Which is ideal if you’re casting to showing fish. Or indeed adopting a roaming approach; seeking out those notoriously tight cold-water holding spots. So: method feeder fishing is quick, easy and effective. What’s not to love? We-ell – it’s also extremely messy. Which may explain its limited popularity; in particular among those inveterate ‘tackle tarts’, whose OCD demands showroom condition kit – at the expense, often, of bangers on the bank. Because make no mistake: however stiff your groundbait mix, you will, at some point… end-up wearing it. Likewise, your rod butts will become clarted with crumb – or pellet, or Vitalin (depending on your recipe of choice). And in the wake of every other cast, you will – unless you’re extremely careful – leave behind a mound of fowl-friendly tucker, sufficient to entice the lake’s entire duck population into your peg. That said, the method has always been my go-to, well, method – having accounted for my first double-figure carp, my first 20lb carp, and indeed my first UK 30lb carp. And countless fish since – in conditions which, I am sure, would have otherwise resulted in a big, fat duck egg. How come? Well, alongside confidence – which is key to every aspect of carp angling – the method, to my mind, is all about attraction. Whether you choose a readymade mix, straight out of the bag, or your own recipe, your feeder begins kicking out feeding triggers throughout the water column, from the moment it hits the deck. So, which is best: a just-add-water groundbait, courtesy of the likes of Bait-Tech, Dynamite et al – all of which can be extremely effective – or your own personalised recipe? Well actually it’s not an either / or situation: rather, there’s nothing to stop you adding your own liquids, and other bits and pieces, to a proprietary mix. That said, I prefer to create my own groundbait from scratch. Not least because it’s invariably cheaper, based as it is around a low-cost dog ‘muesli’ called Vitalin (available in all good pet stores, natch). Vitalin can be used on its own; or you can incorporate other bits and piece, to enhance the attraction levels further still. For my part, I’ll invariably incorporate a handful of small pellets and particles (including, usually, hemp and a few grains of corn, to add a little visual attraction), crushed boilies, and often some dead maggot. 1/ you don’t overfeed the carp, at a time of year when their metabolism has slowed to a crawl. And 2/ the mix binds together well, making it easy to cast and ensuring it adheres to the feeder all the way to the lakebed, where it should break down at a suitable rate for the prevailing stock and conditions. On a heavily stocked runs water, when they’re really ‘having it’, a couple of minutes’ breakdown time will usually suffice – in which case you might add more pellets than groundbait. 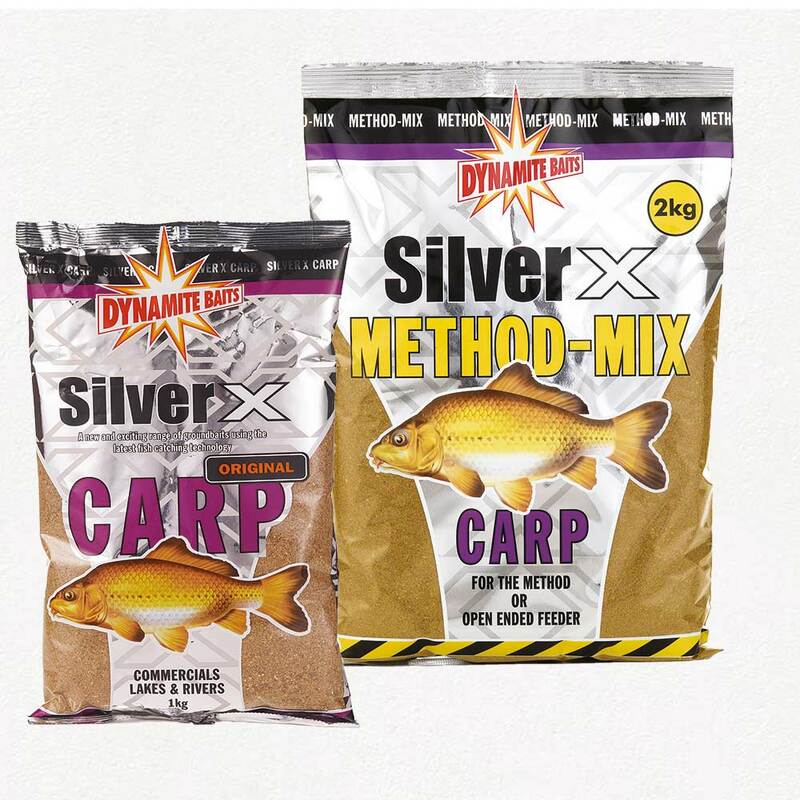 Conversely, if a slower breakdown is needed, you should add more groundbait to make the mix stodgier – possibly incorporating a little molasses, which acts like ‘method mortar’, holding the mix together both on the cast and on the deck. Do I achieve the same mix every time? Not even close. If I’m honest, I use whatever feels right (and comes to hand); simply making up small batches as I go along, to ensure the consistency is just right before going in to ‘full production’. And for the record, I prefer not to use lake water to bind my mix; rather, I tend to use coke (the beverage, that is!) which, being sweet and sticky, adds further attraction whilst improving the binding process. So: the method offers similar ‘go anywhere’ presentation to solid-bagging; it’s just as easy to cast; and it’s cheaper, quicker and simpler. Moreover, whilst PVA bags are a one-shot (one-cast) deal, method feeders should – crack-offs notwithstanding – last you… well, if not a lifetime, then certainly several sessions. As to the feeders themselves, you have a couple of options. Whilst the old-school trilobed feeders popularised by Fox and Korda require you simply to mould your groundbait around the feeder, ESP’s oversized match-style flat feeders are used in conjunction with a ‘mould’, ensuring the shape and weight of your groundbait is identical every time (facilitating consistent casting). Once again, it’s all about personal preference. Just bear in mind, by the time the feeder is loaded, it may weight 5oz or even more – so, depending on your chosen hardware, lighter feeders nay have the edge. Either way, a 3lbs plus test rod is preferable to take the strain of the cast, with a reasonably beefy (12lbs+) line, and possibly a leader, to match. Rigs too should be strong and simple, comprising a short length– maybe four inches or so – of braid, in conjunction with a brightly-coloured wafter or pop-up. 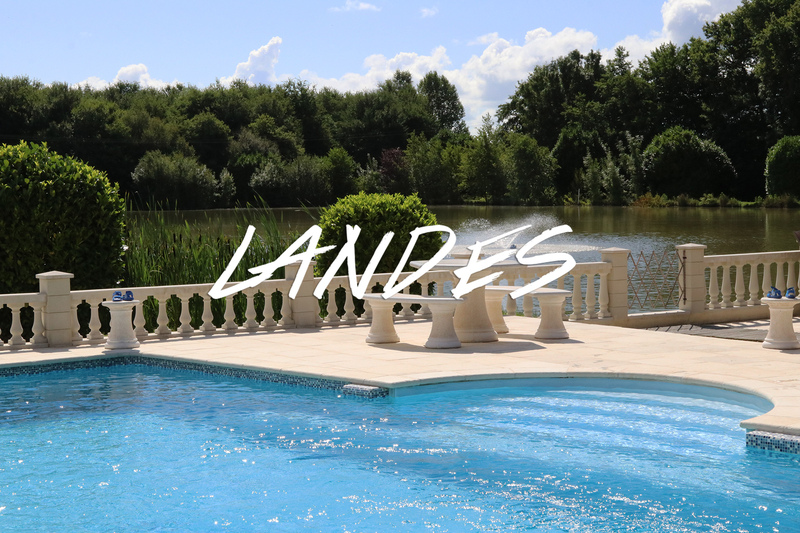 This latter can be buried in the groundbait ball prior to casting, helping to eliminate tangles, and ensuring an effective presentation, irrespective of the make-up of the lakebed. Apropos of which, just one note of caution: you’ll want your hookbait to settle above (rather than underneath) your feeder – so try to mould more groundbait around the opposing side of the feeder from the rig (thus making that side heavier, and ensuring it hits the lakebed first). Either that, or choose a Korda BaitUp feeder, which has one lead fin, ensuring your hookbait will land on ‘top of the shop’ every time. Simples! Not unlike the method itself which, clearly, does all the stuff PVA bags do… without the ag. So why not give it a try, this winter? Make no mistake: the first time you launch one of those Barnes-Wallace style bad boys into the drink, you’ll likely hear more than a few giggles from your fellow carpers. But their smirks will quickly evaporate when those bobbins start to dance – and your rod screams off. Been there. Done that. And I hugely recommend it!